This adults-only event (guests must be 21 years old or older to attend) will include small plates and drinks inspired by the film. Guests can wear costumes but must follow the Disney costume guidelines. Price for the event is $85 per person and doors open at 7:30 p.m. on October 31. 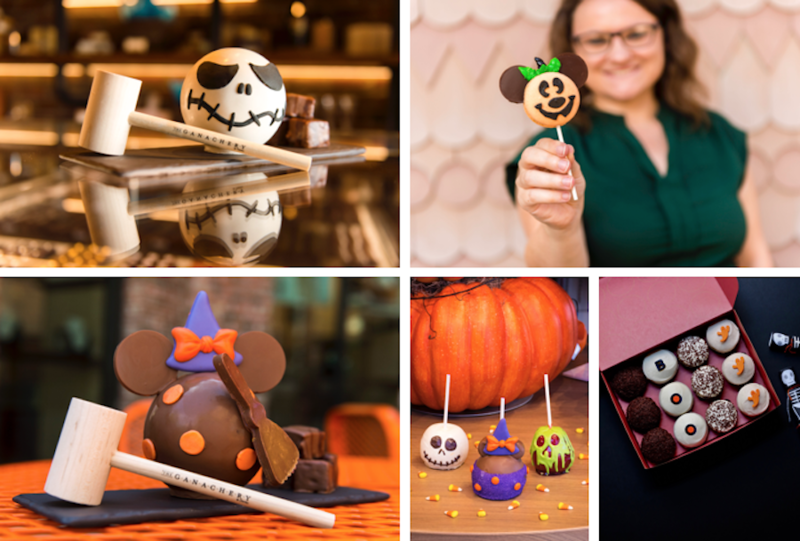 Halloween eats for kids of all ages are available throughout Disney Springs including: chocolate, goodie-filled piñatas at The Ganachery; the Mickey Pumpkin Macaron and Fall Harvest Petite Cake at Amorette’s Patisserie; sweets at Goofy’s Candy Co.; Pumpkin Irish Coffee at Raglan Road; BOO Box filled with caramel apple cupcakes at Sprinkles; a Pumpkin Shake at D-Luxe Burger; and more. When you’re visiting Disney Springs be sure to pick up the WonderFall Flavors guide so you can find all the fall-inspired eats and sips.